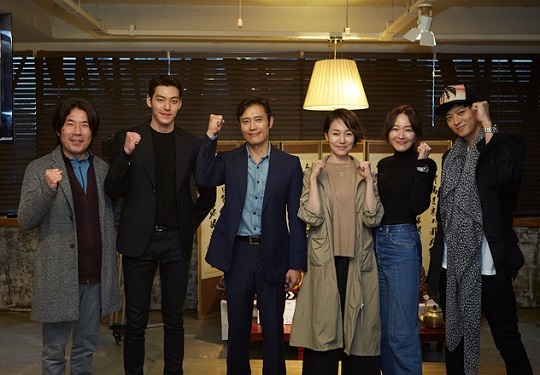 Actors Lee Byung Hun, Kang Dong Won, Kim Woo Bin, Uhm Ji Won, Jin Kyung and Oh Dal Soo have gathered for the first time on April 21 for the prayer ceremony of their upcoming movie 'Master'. Also present were the Director and production crew. The highly-anticipated new movie is scheduled to start filming on April 23. Before its premiere, movie ‘Master‘ had gained lots of attention from the viewers as the movie featured the top actors in Korea which are Gang Dong Won, Lee Byung Hun and Kim Woo Bin. ‘Master‘ tells the story of the intellectual crime investigation team and the company, Won Network. Won Network is involved in a serious fraud case and the crime investigation team goes after the company. 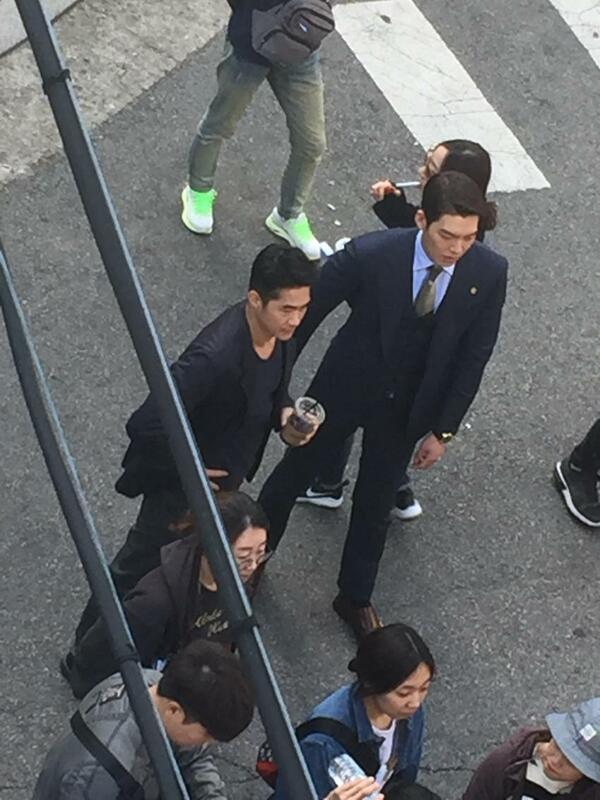 Gang Dong Won will play the role as Kim Jae Myung who is the charismatic leader of the crime investigation team. Lee Byung Hun will play the role as President Jin who is the president of Won Network and Kim Woo Bin will play the role as Park Jong Goon who is the smart Section Chief of Won Network. ‘Master‘ will start filming on April 23 and we are looking forward to this great movie. Actors Lee Byung Hun, Kang Dong Won, Kim Woo Bin, Uhm Ji Won, Oh Dal Soo, and Jin Kyung will be starring in the upcoming film “Master,” which will start filming on April 23. 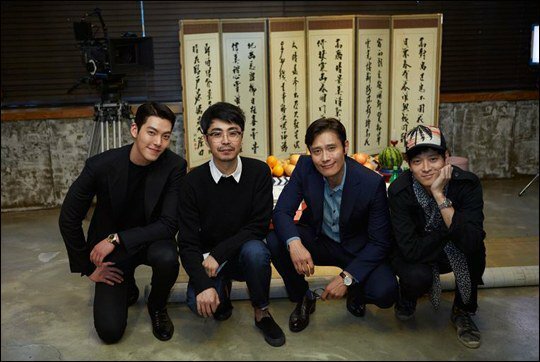 On April 22, CJ Entertainment revealed a few photos of the cast and crew of the film participating in a ritual before the day of the shoot to bring good luck and fortune. “Master” is a crime-action film that deals with betrayal after betrayal as the police force tries to hunt down a skilled conman and the brains behind him. In the film, Lee Byung Hun will be playing Jin Hwae Jang, a con artist who plans everything perfectly and gets away with crime thanks to his great persuasive skills and a flawless network supporting him. Kang Dong Won will be playing Kim Jae Myung, the team leader of the police force in charge of the con artist case. His effective plans and investigation makes him go head-to-head with Lee Byung Hun in the police chase. 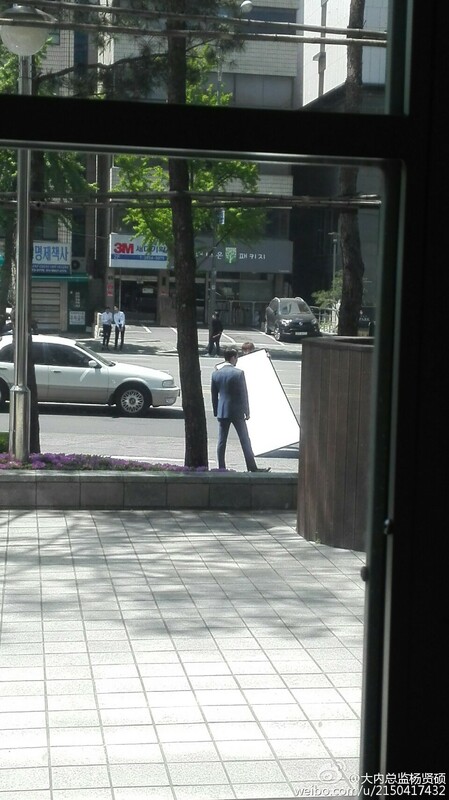 This marks Kang Dong Won’s first time portraying a detective. Kim Woo Bin will be acting as the highly intelligent mastermind who created the network and is the brains behind Jin Hwae Jang. Actress Jin Kyung will be the advertising executive of the network. Lastly, Uhm Ji Won will be playing the role of a lieutenant in the police force and Oh Dal Soo will be an elite lawyer named Hwang Myung Joon. What are your thoughts on this upcoming film? Movie "Master" recently had a Korean traditional sacrificial ritual, 'gosa' to wish for a success of the production. "Master" is "Cold Eyes" director Jo Eui-seok's next film project starring the powerful golden lineup, Lee Byung-hun, Kang Dong-won, Kim Woo-bin as well as Eom Ji-won, Oh Dal-soo, and Jin Kyeong. The filming begins on April 23rd. "Master" is a crime action movie depicting the mind-boggling brain game between the intellectual crime unit and an unprecedented fraudster backed by the real brain behind the biggest fraud case in history. Lee Byung-hun will play CEO Jin of One Network, who leads the enormous fraud case. Kang Dong-won will play Kim Jae-myeong, a commander of the intellectual crime unit. 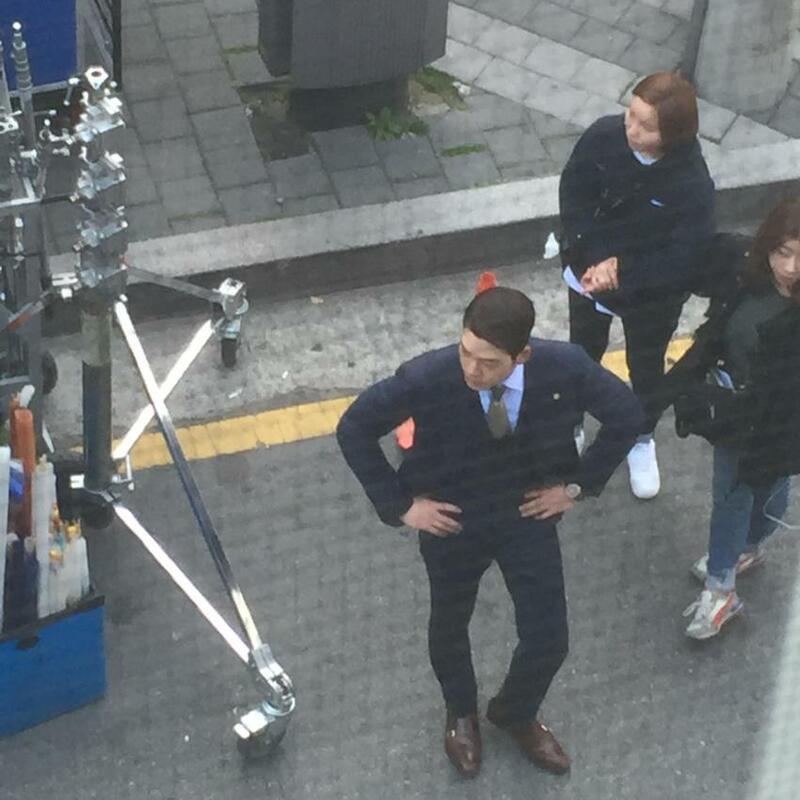 Kim Woo-bin has been cast for the role as General Park, who is the actual brain behind the fraud case led by CEO Jin. The first rendezvous of the three A-list actors is drawing explosive attention. In addition to this, Eom Ji-won will play Jemma Sin, a member of the intellectual crime unit. 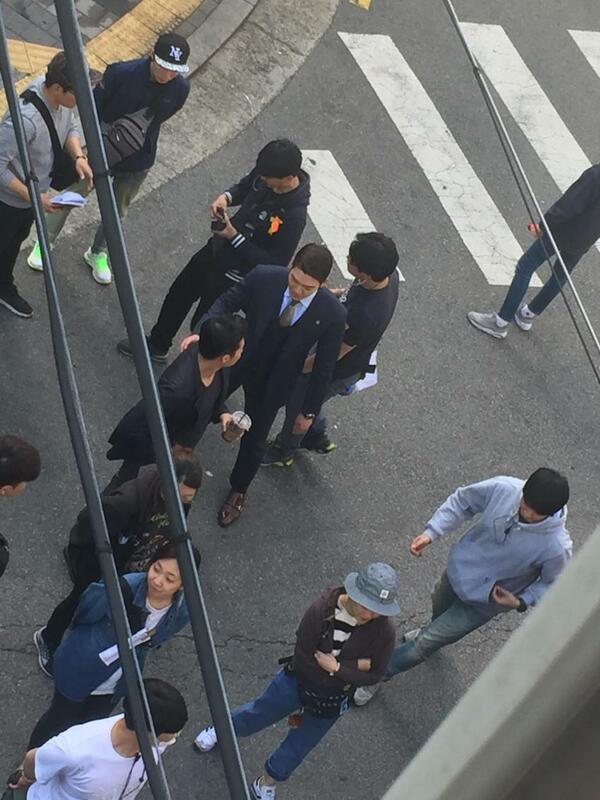 Hwang Myeong-joon, an elite lawyer, also a former prosecutor, is played by Oh Dal-soo. Jin Kyeong also joined the fantastic cast for her role as Mom Kim, a marketing director of One Network. As the powerful supporting actors have also joined the movie, the level of anticipation has been raised even higher. 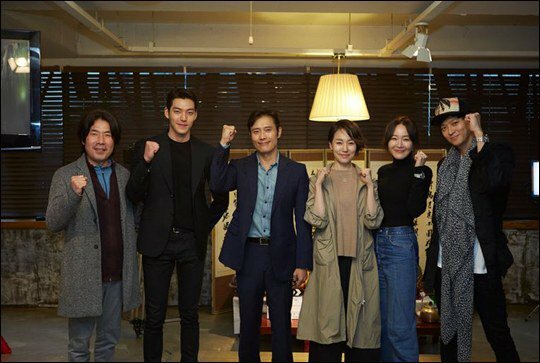 Film director Jo Eui-seok, Lee Byung-hun, Kang Dong-won, Kim Woo-bin, Eom Ji-won, Oh Dal-soo, and Jin Kyeong attended the ritual on April 21st as the filming is about to begin. Also, as the entire staff joined the cast and the director on the day, the passion and excitement by the entire team of the movie were clearly evident as they wished for the safety of the team throughout the filming and the success of the film. The star-studded thriller Master, which will feature LEE Byung-hun, GANG Dong-won and KIM Woo-bin, began production on April 23rd. The CHO Ui-seok film has also added new cast members OH Dal-su, UHM Ji-won and JIN Gyeong. LEE plays a conman and the president of a company that becomes involved in a large fraud case. KIM features as the president’s right-hand man while JIN is on board as the group’s advertising executive. Meanwhile, GANG is the leader of the investigation team looking into it, which also features a lieutenant played by UHM. OH will play a high-powered lawyer. The film is the follow-up for director CHO, who previously made the smash hit Cold Eyes (2013), another investigation thriller. LEE’s last appearance on screen was the dark political thriller Inside Men, a huge hit at home that also netted him the Best Actor Award from the Asian Film Awards in Macau last March. GANG is also hot on the heels of major hits, after appearing in the exorcism thriller The Priests (2015). Young star KIM has been finding success on the small screen and films such as The Con Artists (2014) and Twenty (2015). JIN made a splash on the big screen last year when she appeared in the hit Veteran in a supporting role. UHM’s last was in the Colonial Era chiller The Silenced (2015) while OH has featured in a string of blockbusters in supporting roles, including Ode to My Father (2014), Assassination (2015) and Veteran. 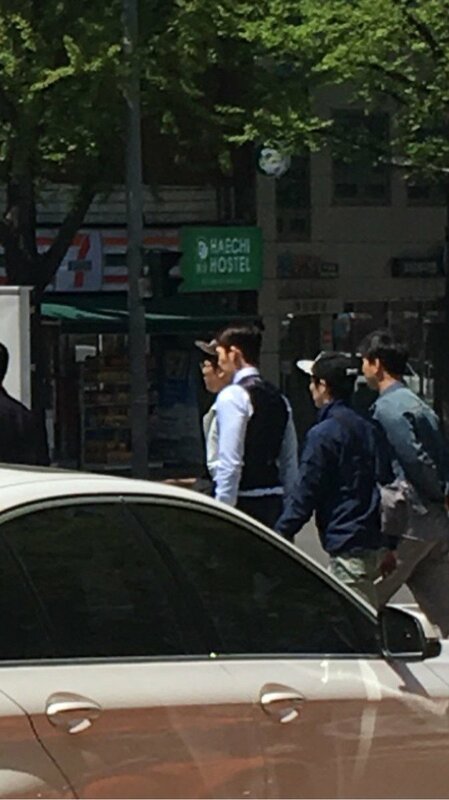 Woo Bin is spotted in the Philippines to film master, news sources also mentions about Kang Dong Won to join him in the filming. 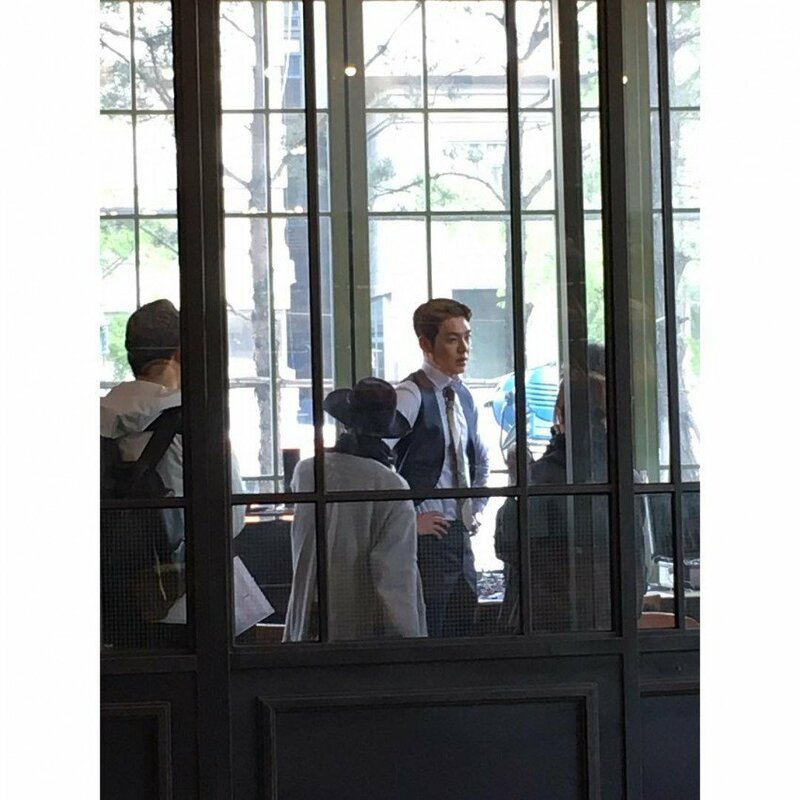 Kim Woo Bin is spotted at Greenbelt in Manila. "Kim Woo Bin" is trending in the Philippines, currently in 6th place. And according to the tweets (lol) he's gonna stay in the Philippines for 2 months to film for his upcoming movie. Apparently, he's gonna film in 4 destinations: Bulacan, Intramuros, Bindondo and Cebu. 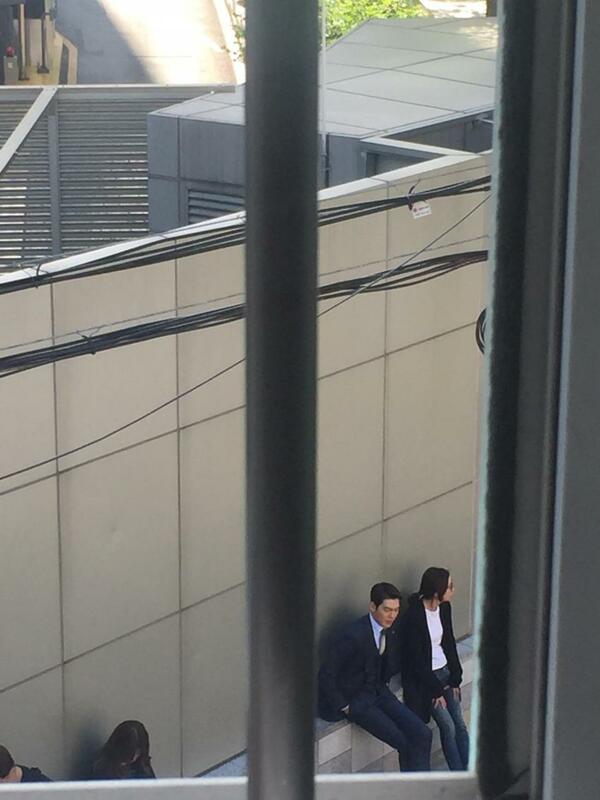 The Heirs actor Kim Woo-bin was spotted earlier today strolling around Manila. 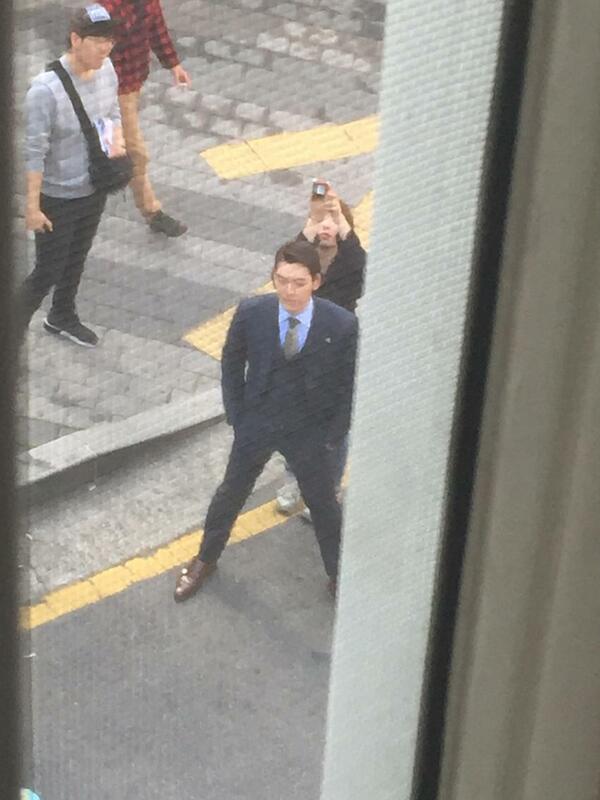 It is said that Kim Woo-bin is in the Philippines because he’s going to film ‘Master’ with award winning actor Lee Byung-hun and Kang Dong-won, and it was going to be directed by Cho Ui-seok. “Master” is an action crime thriller movie revolving around a large fraud case and the criminals involved, as well as the detectives on the case. Kim Woobin will play as Park Jang-goon the Section Chief and the brain behind Won Network, Lee Byung-hun will play as President Jin, the President of Won Network and Kang Dong-won will play as Kim Jae-myung, a smart, charismatic, aggressive and the leader of the Intellectual Crime Investigation team. Kim Woo-bin is known for his chic and strong image in portraying roles on ‘School 2013’ with his best friend Lee Jongsuk and ‘The Heirs’ with Lee Minho and Park Shinhye. He played a Top Safe Cracker on the movie ‘The Con Artists’ with Lee Hyun-woo and played a comedic character in ‘Twenty’ with 2PM’s Lee Junho and Kang Haneul. Meanwhile, Kim Woo-bin will be the male lead of upcoming KBS2 Drama “Uncontrollably Fond” (함부로 애틋하게) with Miss A’s Suzy that’ll be starting on July 6, 2016. I heard, that KDW was already in Philippines, when Woo Bin arrived, no? As we know June 7 actor Bae Jungnam shared a photo with Kim Woo Bin in instagram. Apparently, they were sent to Philippines. 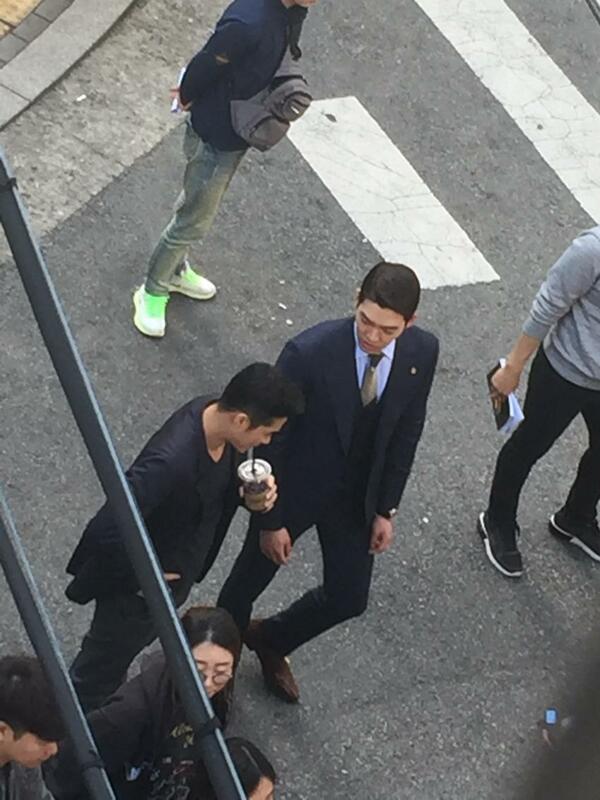 There are rumors that this is from set of Master. but I could not find affirmation. stalkerish (xD) photos. so, looks like LBH not with them in Philippines (probably just yet). His hair dyed into grey color. I'm dying to see chemistry between 3 of them.